Nicaragua was first "discovered" by Europeans when Christopher Columbus invaded from Honduras and explored the eastern coast on his fourth voyage in 1502. In 1522, the first Spaniards entered the region of what would become known as Nicaragua. Gil González Dávila with a small force reached its western portion after a trek through Costa Rica. He proceeded to explore the fertile western valleys and was impressed with the Indian civilization he found there. He and his small army gathered gold and baptized Indians along the way. Eventually, they so imposed upon the Indians that they were attacked and nearly annihilated. González Dávila returned to his expedition's starting point in Panama and reported on his find, naming the area Nicaragua. However, governor Pedrarias Dávila attempted to arrest him and confiscate his treasure. He was forced to flee to Santo Domingo to outfit another expedition. Within a few months, Nicaragua was invaded by several Spanish forces, each led by a conquistador. González Dávila was authorized by royal decree, and came in from the Caribbean coast of Honduras. Francisco Hernández de Córdoba at the command of the governor of Panama approached from Costa Rica. Pedro de Alvarado and Cristóbal de Olid at the command of Hernán Cortés, came from Guatemala through San Salvador and Honduras. Córdoba apparently came with the intention of colonization. In 1524, he established permanent settlements in the region, including two of Nicaragua's principal towns: Granada on Lake Nicaragua and León west of Lake Managua. But he soon found it necessary to prepare defenses for the cities and go on the offensive against incursions by the other conquistadores. The inevitable clash between the Spanish forces devastated the indigenous population. The Indian civilization was destroyed. The series of battles came to be known as The War of the Captains. By 1529, the conquest of Nicaragua was complete. Several conquistadores came out winners, and some were executed or murdered. Pedrarias Dávila was one such winner. Although he lost control of Panama, he moved to Nicaragua and established his base in León. The land was parceled out to the conquistadores. The area of most interest was the western portion. It included a wide, fertile valley with huge, freshwater lakes, a series of volcanoes, and volcanic lagoons. Many Indians were soon enslaved to develop and maintain "estates" there. Others were put to work in mines in northern Nicaragua, but the great majority were sent as slaves to Panama and Peru, for significant profit to the new landed aristocracy. Many Indians died through disease and neglect by the Spaniards, who controlled everything necessary for their subsistence. In 1538, the Viceroyalty of New Spain was established, encompassing all of Mexico and Central America, except Panama. By 1570, the southern part of New Spain was designated the Captaincy General of Guatemala. The area of Nicaragua was divided into administrative "parties" with León as the capital. In 1610, the volcano known as Momotombo erupted, destroying the capital. It was rebuilt northwest of its original site. The history of Nicaragua remained relatively static for three hundred years following the conquest. There were minor civil wars and rebellions, but they were quickly suppressed. The region was subject to frequent raids by Dutch, French and British pirates, with the city of Granada being invaded twice, in 1658 and 1660. 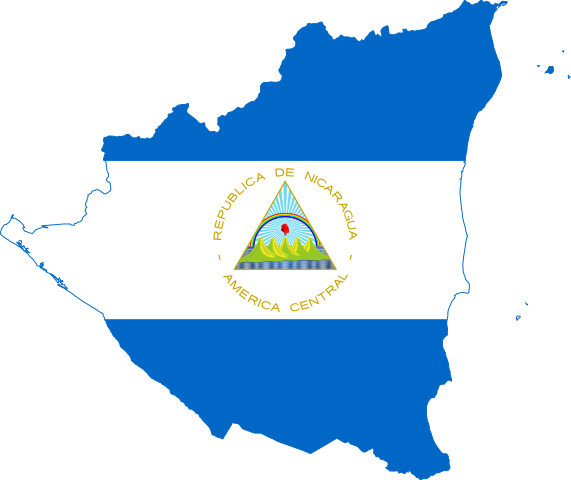 Nicaragua became a part of the First Mexican Empire in 1821, was a part of the United Provinces of Central America in 1823, and then became an independent republic in its own right in 1838. The Mosquito Coast based on Bluefields on the Atlantic was claimed by the United Kingdom as a protectorate from 1655 to 1850. This area was designated to Honduras in 1859 and transferred to Nicaragua in 1860, though it remained autonomous until 1894. Much of Nicaragua's politics since independence has been characterized by the rivalry between the liberal elite of León and the conservative elite of Granada. The rivalry often degenerated into civil war, particularly during the 1840s and 1850s. Initially invited by the Liberals in 1855 to join their struggle against the Conservatives, a United States adventurer named William Walker declared himself king in 1856. Honduras and other Central American countries united to drive him out of Nicaragua in 1857, after which a period of three decades of Conservative rule ensued. Taking advantage of divisions within the conservative ranks, José Santos Zelaya led a liberal revolt that brought him to power in 1893. Zelaya ended the longstanding dispute with the United Kingdom over the Atlantic coast in 1894, and "reincorporated" the Mosquito Coast into Nicaragua. Submit and View Queries Submit a Query for your lost Nicaraguan ancestor.